PMA: How Do I Know My Produce is Delivered Fresh? 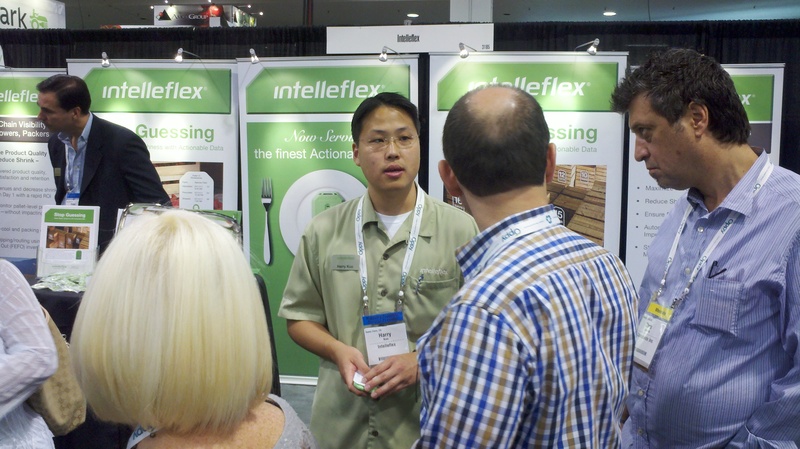 At the annual Produce Marketing Association convention here in Anaheim, there are acres of fresh produce companies and many of them are coming by the Intelleflex booth (#3185) asking how they can be sure that their produce is delivered fresh and has been properly handled throughout the cold chain. Fortunately, Intelleflex’ Harry Kuo has the answer. Harry answers the question: How can I improve Delivered Freshness? Pallet-level temperature monitoring does the trick, enabling improved routing using FEFO inventory, reducing shrink and providing a complete traceability record as well. Growers, packers, shippers and retailers can all benefit from pallet-level temperature monitoring. If you’re at PMA, come by the Intelleflex booth and ask us to show you how it works and how you can improve your cold chain operations. This entry was posted in Food Safety, Perishables and tagged delivered freshness, PMA, Produce Marketing Association, temperature monitoring. Bookmark the permalink.